However, below are the specific rules that are helpful to referees officiating the game. 6.8 Under 15 matches will be 30 minutes each way. Half-time will be 5 minutes, with both teams staying on the Field of Play. 6.9 Under 18 matches will be 35 minutes each way. Half-time will be 5 minutes, with both teams staying on the Field of Play. 6.10 Should a fifty point differential occur at any time during a match, then the Referee will end the match and the result at that time will stand, unless both teams are in agreement to continue. 7.1 The number of replacements and substitutes in all matches shall be no more than seven. 7.3 In the interest of safety each team must have at least five players in their nominated match squad who are suitably trained and experienced to be capable of playing in the front row. This is to be sure that on the first or second occasions (whether due to injury or consequent to a player(s) being temporarily suspended or ordered off) that a front row player is required to be replaced, the team can continue to play safely with contested scrums. 7.4 If on any occasion a front row player requires to be replaced and his team cannot provide a replacement or another player suitably trained and experienced from those who started the match or from the nominated replacements to enable the match to continue safely with contested scrums, the referee having made enquiry of and having confirmed this fact with the Manager of the team (or such other person nominated by the School/College as the person responsible for the team), the match will continue with uncontested scrums and (subject to Regulation 7.6 below) the final result will stand. 7.5 In the unusual event that a Referee decides to continue the game with uncontested scrums on the grounds of safety, because he cannot safely manage the scrums otherwise, the final result will stand, subject to Regulation 7.6. 8.1 There will be no extra time in any round. the team scoring the most goals from tries. 8.3 With the exception of the Semi Finals and Final if Regulation 8.2 does not produce a winner then the Away team is the winner. In accordance with Regulation 3.3, in all rounds of the Competitions, the second named team in each match is the Away Team. 8.4 In the Semi Finals, Regulation 8.3 will not apply. If the application of Regulation 8.2 fails to produce a winner, then the winner of the match will be determined by a Place Kicking Competition (see Regulation 8.6). 8.5 In the Finals, Regulation 8.3 will not apply. If the application of Regulation 8.2 fails to produce a winner, then the trophy will be shared. 8.6.1 Each team shall nominate three (3) players from its number on the field of play at the final whistle to participate on its behalf in a place kicking competition. 8.6.2 Each kicker in turn shall attempt a place kick, alternating between the team that kicked off and their opposition until all six (6) kickers have kicked at goal. At the end of each sequence of six (6) kicks the team that has scored the most goals will go through. For all attempts the same ball will be used. If the match is abandoned because of the weather conditions, (including bad light), when less than 50 minutes have been played, then the match will be replayed unless he Organising Committee exceptionally, and in absolute discretion, agrees/specifies otherwise. If a match is abandoned because of weather conditions, (including bad light), when fifty or more minutes have been played, then the score at the moment of abandonment shall stand and be deemed the final score in the match. The Referee’s decision as to the necessity for abandonment and the number of minutes played at the moment of abandonment shall be final. If the Referee finds it necessary to abandon a match for any reason other than weather conditions, (including bad light), then, irrespective of the number of minutes played, the result of that match shall be reviewed by the Organising Committee. On receipt of the appropriate report from the Organising Committee, the Referral Group may order the match to be replayed and/or impose such other sanction as it deems appropriate. The referee’s report must be submitted on why play was curtailed. 7.2 Rolling Substitutions are permitted in all Daily Mail RBS Cup and Vase matches. A player who has been substituted may later replace any player, whether or not that player has been injured. 7.3 In the interest of safety each team must have at least six players in their nominated match squad who are suitably trained and experienced to be capable of playing in the front row to ensure that on the first, second or third occasions (whether due to injury or consequent to a player(s) being temporarily suspended or ordered off) that a front row player is required to be replaced, the team can continue to play safely with contested scrums. (ii) the Referee has made enquiry of and confirmed this fact with the Manager of the team (or such other person nominated by the School/College as the person responsible for the team); then the match shall continue with uncontested scrums only for the duration of the temporary suspension. The match result will be unaffected. 8.3 With the exception of the Semi Finals and Final if Regulation 8.2 does not produce a winner then the Away team is the winner. In accordance with Regulation 5.1, in all rounds of the Competitions, the second named team in each match is the Away Team. The Schools Cup Regulations can be accessed HERE! U15-U18 Variations to the World Rugby Laws of the Game – BOYS ONLY can be accessed HERE! U15-U18 Variations to the World Rugby Laws of the Game – GIRLS ONLY can be accessed HERE! It is the wish of the professional rugby department that all players are given similar opportunities to play and with this in mind it is a recommendation that all players play a minimum of a half a game of rugby in the county games. The recommended squad size is 23 with 3 front row replacements – however, England Rugby is happy for more players to be included in the squads as long as both counties agree. As this is a player development programme, it is agreed that all counties can have rolling subs. (RFU Regulation 15, Appendix 2.2 applies). We are continuing with the law variation that all players yellow or red carded will be removed from the field of play, (yellow card is 7 minutes duration, RFU Regulation 15, Appendix 2.4 applies) and the player will be replaced so that at all times the game will be played with 15 v 15 players. The Competition is open to all clubs that are in full membership of the Kent County RFU and shall be played under the Rules of the Rugby Football Union. 2.1 The management of this competition shall be vested in the County Youth sub-committee which shall appoint the Competition Manager who shall be responsible for organising the competition, and shall have full powers to deal with all disputes and transgressions. 2.2 In the event of an appeal against a decision of the Competition Manager the appeal shall be referred to the County Competitions sub-committee. The sub-committee will have access to all relevant correspondence and any further information which the clubs concerned and the Competition Manager may wish to submit. 2.3 The decision of the County Competitions sub – committee shall be final. 2.5 No exception to Rules 1 and 2 will be allowed and exceptions to the other Rules will not normally be made. 3.1 Applications to enter the competition must be made to the Competition Manager in writing on the form supplied by the Manager and not later than the date specified. 3.2 The applicant shall state the name, address, telephone number and email of the person to be responsible for future communications. 3.3 Entries received after the specified date will not be considered under any circumstances. 3.4 There shall be an entrance fee agreed by the Youth sub-committee which shall be paid on application. Applications without the correct entrance fee will not be accepted. 3.5.1 For clubs entering one team all eligible players may be registered for that squad. 3.5.2 For clubs entering two teams: The A squad is limited to 26 players of which up to 10 may also be registered for the B squad if required. These 10 will not include players of county standard or above. The B squad would contain all remaining players. 3.5.3 Clubs with an A and a B side may not play players who have played in either the A or the B team on the same day. 4.1 All players must be Under 17 years of age on the 1st September at the start of the season in which they play in the Competition and must be registered according to the procedures agreed by the RFU. 4.2 All players must be genuine players for their Club Under 17s and to be eligible (i) must prior to playing in a cup game have played at least twice for the Club during the current season, (ii) must be a fully paid up member of the club. 4.3 No player may play for more than one team in the competition in any one season. 4.4 The Club may only play members who are regular members for the Club and shall not include players especially for the competition. 4.5.1 In the interest of player development & retention, this Competition is intended for the U17 age group. It is therefore expected that registered U17s players are given priority over U16s players. 4.5.2 Clubs who need to play U16’s to run a side for the season or, on occasion, to fulfil a fixture, need to request permission from the competition organiser and ensure that the player is registered and highlighted as an U16 player. 5.1 The Home Side will be responsible for contacting its opponent and for arranging the time, venue and the Referee. 5.3 For competition and referee administration purposes all matches in this league will kick off at 11.00 unless permission has been granted by the Competition Manager for a change in Kick Off time. (i) The opposition has been contacted and agrees to the change. (ii) The Competition Manager receives the request at least 72 hours prior to the match being played. (iii) The Club undertakes to contact and inform the appointed referee in good time. (iv) Changes in Kick Off times will not normally be allowed within 72 hours of the match. (v) Any club failing to comply with this rule is liable for action to be taken under Rule 2. 5.5 The club referee liaison officer is responsible for the appointment of a qualified referee for each home fixture. Referees for each game should be appointed by either the Kent or London Society of Rugby Football Union Referees as appropriate for the club. The referee should not be a member of the club. 5.6 If it does not prove possible to appoint a Society referee then, with the agreement of the opposition, a referee who holds the RFU 15-a-side referee certificate may be appointed provided that such a person has been CRB checked and is not a member of your club.. This provision will only apply to League matches. Note: This will be an exceptional situation as the Kent Society has agreed to appoint qualified referees. 5.7 With the exception of the Final each side shall supply a Touch Judge. 5.8 All games will be played on the dates agreed by the County Youth sub-committee and specified by the Competition Manager. 5.9 The venue for the Finals will be determined by the County Youth sub-committee. 6.1 Each team manager will prepare a signed team sheet identifying front row players on the form provided on the County Youth website. Managers will be responsible for producing copies themselves and for having the list available before the start of the match. 6.2 It will be the responsibility of the Home Team manager to complete the Match Results form, available from the County Youth website. (i)The form will contain the full team list for each team identifying trained front row players, this will be completed before the start of the game and will be provided to the referee. (ii) After the game it will be completed by the referee who will state the score, number of try’s, conversions and penalties scored and number of yellow and red cards. The name and Society of the referee will be included. (iii) The completed form will be signed by the referee and by the managers of both teams and returned to the manager of the Home Team prior to the referee leaving the ground. 6.3 The manager of the Home Team will notify the result of the match to the Competitions Manager by email or text before the end of the day on which the match is held. 6.4 The manager of the Visiting Team has an absolute obligation to assist with the completion of the form in accordance with the above requirement. 6.5 The Match Results form, duly completed, must reach the Competition Manager not later than 48 hours after the round. 6.6 Failure to ensure proper and timely completion of the Match Results form or the notification of the results may result in disqualification. 6.7 The Clubs concerned shall immediately notify the competition manager of any postponement or abandonment of matches. 7.2 Referees shall blow no-side (full time) in any game played in this competition if a 50 point differential occurs between teams regardless of time played. 7.3 If a team is unable to fulfil a fixture the opposition will be awarded a ‘Walkover’, a notional score of 30-0 and a try bonus. The side conceding the fixture will NOT receive a losing bonus point. 7.4 Each match day squad will be no more than 22 players. 7.5 Any team unable to field 15 players will be deemed unable to fulfil the fixture. Any team not able to start the game meeting this requirement should play the game but will be deemed to have lost with the opposition awarded a win, with a notional score of 30-0 and a try bonus. The losing team will still be entitled to a losing point for playing the match. 7.7 If, after the game has started, uncontested scrums arise due to injury or on the instruction of the referee, on safety grounds, the game will continue to its normal conclusion with the final score standing. 7.8 Replacements will be allowed under the relevant RFU Law. 8.1 There will normally be two/three leagues. 8.3 The basic criteria for seeding will be ranking by clubs of each team and the relative positions of the clubs entered in the County under 16 competition in the previous season. In the case of a club which was not entered in the Under 16s competition in the previous season the seeding committee will take into account other relevant factors. 8.5 Normally, each side will play all the other sides in the league once only unless the league size is 6 teams or less, in which cases teams will play on a home and away basis. 8.6 The Competition Manager will be responsible for the order of games and designating home and away fixtures. 8.7 The winning team in each match will receive 4 points. 8.10 1 Bonus point will be awarded to a team scoring 4 tries or more. 8.11 If a team is unable to fulfil a fixture the opposition will be awarded a ‘Walkover’ and receive 5 points and a notional score of 30 points to 0. The side ‘conceding’ will not be awarded a losing bonus point (see also rule 7.3 above). 8.12 League Winners and Runners-up will be recognised. 8.13 Following the completion of all league matches there will be a play off for the Cup, Plate and Bowl Competitions. Seeding for these competitions will be based on each team’s league finish. 8.14 Referees shall blow no-side (full time) in any game played in this competition if a 50 point differential occurs between teams regardless of time played. 8.15 The Competition Manager, when calculating points difference in the league tables will allocate a maximum of plus, or minus, 50 points even if the actual difference was greater than 50 points. 8.17 If Rule 8.16 fails to break any ties then the Competition Manager will conduct a draw in order to break the tie and inform teams of the result of this draw. 8.18 The Competition Manager reserves the right, in consultation with the Chair of the Youth sub-committee and other members of the Committee as appropriate, to review the outcomes of results at the league fixtures with particular reference to the impact of ‘Walkover’ results. 8.20 In the event of a draw in the final at full time, and the score is even, the game will be decided on the highest number of tries and then on conversions. If this does not produce a result then the match will be resolved by drop goals from the 22m line. The Clubs concerned shall immediately notify the competition manager of any postponement or abandonment of matches. The RFU U18’s Cup Regulations can be accessed HERE! There are no formal Sin Bin/yellow cards in the U12s and below game as this is considered unnecessary at this age. It is felt that it is more appropriate for the coaches and referee to manage to situation as they think fit. Clubs must notify the RFU Legal Officer of all players participating in the trial by emailing AlysLewis@rfu.com. 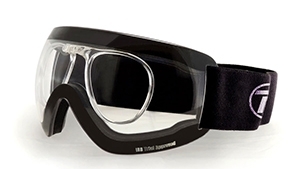 Clubs must report any injuries caused as a result of the sports goggles to the RFU Community Medical Team by emailing sportsinjuriesadmin@therfu.comand the player’s parents must report the injury to the ABDO dispensing optician who prescribed the goggles. Should you have any queries or require further clarification and guidance in relation to the proposed trial, please contact Alys Lewis on AlysLewis@rfu.com. Following a four year review of rugby for under 18’s, led by the RFU, in consultation with a wide cross section of the game, the “new” Age Grade Rugby will roll out from September 2016. The countdown is underway! You can download the graphic with more information about Age Grade Rugby here. The Age Grade Competition Review found there to be a lack of clarity of the competition pathway for young players, conflict between club, school, college and the representative competition structure calendar, a tendency to overplay the talented players and underplay the less able to achieve results. The new Age Grade Rugby programme will be based on the principles of player centred, development driven and competition supported. The wants and needs of young people will be at its heart. It will put player enjoyment above all else to keep more young people enjoying the game for longer and into their adult years. There will be consistent age bandings and incremental player progressions for all age grade rugby; a nationally consistent playing menu and calendar that increases inclusivity, clarifies player priorities and dovetails club, school, college competitions; an integrated England Rugby Player Development pathway and representative framework and training and Continuous Professional Development for coaches, referees, parents, teachers and others. As part of the review young people told the RFU that, above all else, they wanted to have fun playing rugby with their friends. Both expert opinion and the RFU’s own research have shown that emphasis has historically been placed on winning, with evidence of over playing the able players and under playing those less able players to achieve results. Age Grade Rugby will put inclusivity and each player’s skill development first, with the increasing intensity of competition introduced later. Young players will start with festivals and triangulars and progress to knockouts, tournaments and leagues as they get older and develop their game. Experts believe rugby is a late specialism sport and recommend that the representative rugby programme should wait until U15 when players have matured. The RFU’s player development programme will be shaped to ensure that it complements the rest of the age grade game as well as identifying and developing the more able players and providing them with higher intensity competitive opportunities. It will also ensure a focus on their core playing programme in clubs, schools and colleges so that selection and representative rugby balances with the rest of a player’s season and motivations for taking part in rugby union. September 2016 will also see the full roll out of the New Rules of Play under Regulation 15. The principle behind the New Rules of Play is to provide a playing format with building blocks to the 15-a-side game that allow players time to get to grips with the basics of running and catching the ball before contact and specialism is gradually introduced. The schools and clubs who have trialled the New Rules of Play have been extremely positive about the results and believe they give each player more chance to play in an environment based on activity, safety and fun. RFU Adult Competitions MEN can be accessed HERE! For 4 replacements and above each team have to provide 5 front row players (2 replacements). If they don’t produce the 2nd when asked they will forfeit the win. If they can’t produce a front row replacement on the third time of asking and it goes uncontested, they play with 14 men but do not forfeit the match. If their front row player goes off for blood and they have no more suitably trained replacements they can go uncontested without dropping to 14 men providing they have an interchange left to bring the blood replacement on. If the blood injury does not return in the 15mins real time then they have to continue uncontested but with 14 men. In all knock out matches if after 40 minutes of play each way the scores are level, there shall be a five-minute break. After this break, the teams will change ends and there shall be a period of extra time between the teams of 10 minutes each way, with a one-minute interval. If the scores are then still equal, the team that has scored most tries shall be declared the winners. If this does not produce a result, the team that has scored the most goals from tries shall be declared the winners. If the scores remain equal, in all matches save for the Semi-Final and Final, the away team shall be declared the winners. In all Kent County Competitions 4 replacements are allowed, these are rolling subs and are limited by 9 interchanges. Once these interchanges have taken place no more can be taken. Out of a squad of 19 players, 5 players must be able to play front row. If at anytime a team cannot field a front row replacement they do not go down to 14 players and the game goes uncontested. If at the end of normal playing time the scores are equal, the team which has scored the greater number of tries shall be deemed the winner. If the number of tries is equal, the teams will change ends and continue playing a further 10 minutes each way. If at the end of this period the scores are still equal and the number of tries are equal then there shall be a replay on the visiting team’s ground or if mutually agreed between the two teams, the match may be decided by the toss of a coin – the visiting team to call. In the case of the Final, if after forty minutes play each way the scores are level there shall be an immediate period of extra time of ten minutes each way with a one minute interval. If the scores are then still equal the team who scored the most tries shall be the winner. If after extra time there shall be an equality of scores and of tries, the team that has scored the most goals from tries shall be the winner. If this does not produce a result there shall not be a replay and the trophy will be shared. If there is need to nominate a Club for the Rugby Football Union Competition, the team to proceed in to the Rugby Football Union Club Competition shall be decided by the toss of a coin at the end of play supervised by the referee appointed to officiate at the final. The team that lost the toss at commencement of play of the final shall call. Failure to comply with the requirements of this rule will cause the result to be declared null and void and a replay will be required as directed by the Competitions Sub-Committee. The Referee shall have the power to order play to commence fifteen minutes after the official kick off time, which for all games except any matches that take place in April, shall be 2.00pm unless otherwise agreed with the Competitions secretary. 1.The objective of the Shepherd Neame Kent Merit Leagues is to retain players in amateur rugby, by providing a competitive structured arena to play fixtures. Invicta Leagues with teams drawn from 2, 3 or 4XVs of Kent 1XV teams playing in the English Clubs Championship, and 1st XVs of Kent clubs not playing in the English Clubs Championship. Metropolitan Leagues with teams drawn from within a defined geographic area of suburban London and as listed in the County Handbook (for guidance, inside the M25 Motorway), or from Kent Rural clubs as otherwise agreed. Kent Rural Leagues with teams drawn from non-suburban Kent clubs and as listed in the County Handbook (for guidance, outside the M25 Motorway), or Kent Metropolitan Clubs as otherwise agreed. Metropolitan and Kent Rural Leagues may also accept teams from adjacent RFU Constituent Bodies if deemed appropriate and they affiliate to Kent County RFU. 4. A Member club is a club who has at least one team entered into the League, and has not been withdrawn from the competition, and has paid the relevant annual stipulated fee. 4.1. An annual stipulated fee of £20.00 (twenty pounds only) is to be paid by member clubs for each team entered in the Shepherd Neame Merit League Competition. Any such fee shall be accepted at the level of £15.00 (fifteen pounds only) per team provided such total payment is received by the appropriate League Committee no later than November 30 in each season, failing which the full stipulated rate per team becomes payable. 5.League fixtures are to be played on a home and away basis in each season unless special circumstances apply. A League structured playing season detailing fixtures and playing dates will be provided to each member club prior to the commencement of each season, including requested and agreed changes. The structured season will also be posted on the Kent and RFU websites when finalised. 5.1. All League fixtures must be completed by 30th April each year. Or two weeks after the completion of the structured season to accommodate postponed fixtures, whichever is later. 6. If fixtures cannot be played on the scheduled date the teams are obliged to explore alternative dates to reschedule the fixture. Rescheduled fixtures need not be confined to Saturday afternoon. 6.2. Any fixtures not played on the original date, or successfully rearranged will be deemed forfeit. 7. A team which finds itself needing to cancel a fixture, must contact the opposition before 2 o’clock pm on the day before the fixture, Cancellation must be made by making contact with an official representative of the club by telephone, or if needs must, via exchange of a voice message, email or text (or other such technical method). Contact is not considered to have been made until it has been acknowledged by the recipient. The teams are reminded of their obligation under rule 6 to find an alternative and mutually agreeable date to reschedule the fixture. 7.1. Any team that withdraws or is withdrawn from the league will have all records of results declared void and deleted from the respective league table to provide a fair and level competition for the remaining teams in that table. 7.2. Any team that gets close to forfeiting 25% of their league fixtures will be given written notification of this and warned of the possible consequences which may include disqualification from the league. 8.1.1. Rolling subs may be used. Law 3.14a is amended as follows; there is no limit to the number of substitutions that may be performed from the nominated replacements defined in Rule 8.1 or otherwise agreed in accordance with Rule 8.2. 8.2. In circumstances where either team or both teams have more than the maximum of three (3) replacements available, and in the spirit of the SNKML to field the available players, the respective captains and the appointed referee may agree to play the match with the one/or both team(s) using more than the usual maximum recommended number of replacements (as stated in Rule 8.1 above). This agreement must be secured before the match and reported when confirming the result. 8.3. If one team has less than 15 players and the opposing team has replacements, the replacements are to be encouraged to play for the opposition. 8.3.1. No replacements are permitted to take to the field if the opposition has less than 15 players available. This rule is not intended to be applied if the reason for reduced numbers is due to injury or the supplication of red or yellow cards by the referee. Where a match starts with both teams having qualified front row, the score will stand and a win claimed, in the usual way, even if the match has to go to uncontested scrums during play due to a lack of a qualified replacement. In the event a match has to start with uncontested scrums, due to the absence of a qualified front row in one team, that team cannot go on to claim the league points for a win. If that is the outcome of the match after it is completed, the match will be recorded as having been drawn. 8.5 In the event of a match being played with uncontested scrums it is not necessary for either team to reduce the number of players on the pitch as a result of law 3 .6 unless as a result of suspension ,temporary suspension. 9. The scoring system will be four (4) points for a win, three (3) points for a draw, one (1) point for playing and nil (0) points for a default (i.e. walk over). 9.1. One (1) bonus point will be awarded to a losing team if the final score line is within seven (7) points or less. 9.2. Regardless of the final score in any league match the widest point’s differential that would be entered for league table purposes is forty (40) points. 9.3. Subject to Rule 7 above; any member club that calls off a league match without being able to successfully rearrange the match, renders the opposing team forty (40) score points and a win four (4) points and scores no points themselves. 9.4. Both clubs must report results to their respective league committee by 7.00 p.m. on the Monday immediately following the match either by telephone, email or other agreed procedure. 9.5. The League results and tables will be regularly updated, forwarded to league contacts and posted on the Kent and RFU websites. 10. Presentation of trophies will be made to the winning clubs at the end of each season. Plaques for the winners and runners-up in each league would be paid for and provided by the Kent County Rugby Football Union. 11. Promotion and relegation may apply between the Leagues. Where considered practicable by the Adult participation Committee. 12. All grievances are to be notified in the first instance by letter or email to the relevant league committee within 7 days following the fixture. 12.1. If, and in the opinion of the appropriate league committee, any member club, through it’s representatives or teams, has acted in direct infringement or disregard of the spirit and ethos of the SNKML competition, The League committee may impose sanctions and/or adjust recorded results or competition points, evenly and fairly. 13. If a club forfeits a more senior fixture but continues to honour lower league fixtures on the same day, and that leads to a complaint from any team losing a merit table fixture with this reason being cited, the league coordinator may invoke rule 12.1 or allow the result to stand as is appropriate for the specific circumstances where a complaint is received. Disciplinary sanctions may be invoked by the League Committee. 14. Appeals against decisions made by the relevant league committee may be referred in writing to the Chairman of the KCRFU Adult Participation Sub-committee. All such appeals must be made made/received within 14 days of receiving a decision from the appropriate league /committee. Rules & Regulations of the Invicta Cup. In the Kent Invicta Cup Competition 4 replacements are allowed, these are rolling subs and are limited by 9 interchanges. Once these interchanges have taken place no more can be taken. The Referee shall have the power to order play to commence fifteen minutes after the official kick off time, which for all games except any matches that take place in April, shall be 2.00pm unless otherwise agreed with the Invicta League Co-ordinator. The Women’s Regulations can be accessed HERE! Women’s Premier and second 15’s Regulations can be accessed HERE! Competition will be played to IRB U19 laws. Match form to be completed by the home team and signed by the opposition captain and referee. Referees to be booked through the society. Maximum squad 22 – all matches 15 a side. If a side plays with less than 15, there is no matching numbers (minimum number 10). (ii) If the scores are tied after extra time, then the Club that has scored the most tries in that Match (including extra time) shall be deemed the winner of that Match. If the Clubs have scored the same number of tries in that Match (including extra time), then the winner of the Match will be determined by a place-kick competition conducted as set out in Appendix One to these Regulations. All players and the Match officials will remain on the playing area. The Referee will call the captains of the two teams at the end of the match to the centre circle and will conduct two coin tosses. The first toss of the coin will determine which team selects the end of the playing area at which all place kicks will be taken; the second toss of the coin will determine which team kicks first or second. The Match officials and the six nominated players (3 from each side) will assemble on the halfway line. Team A and Team B will each nominate 3 kickers from the players on the pitch at the end of extra time to participate in the place kick competition. Each kicker will be allocated a number i.e. Kicker 1, Kicker 2 or Kicker 3. This designation cannot change. If during the place kick competition any of the 3 kickers becomes injured he will be replaced by a player who was on the pitch at the end of extra time. The first phase of the competition will consist of 3 kicks from 3 positions as outlined in the diagram below. All kickers from team A and team B will each take a kick from position 1. Kicker 1 from team A and Kicker 1 from team B will each take a kick from position 2. Kicker 2 from team A and Kicker 2 from team B will each take a kick from position 3. Kicker 3 from team A and Kicker 3 from team B will each take a kick from position 4. Kicks will continue in this order until a point is reached where each team has taken the same number of sudden death kicks but one team has scored one more than the other team. When this point is reached the team that has scored more successful kicks will be declared the winner. All affiliated Kent club sides playing league rugby, championship and below are invited to participate in the Women’s Kent Cup. Should a team be unable to compete by the deadline, they will forfeit their place in the next round unless sanctioned by the W & G Sub-Committee. 1st Round – All games to be played by date stated. The first club in the draw is the home side unless both teams agree to reverse the fixture. Once a date has been agreed please inform the competition’s manager. Please also inform the Competitions manager of any changes. The home side should confirm the game by the Wednesday before the match. Competition will be played to IRB U19 law’s unless both teams currently play full regulations. The competition will be 15 a side. Up to seven subs or seven interchanges are allowed. Up to four players may be borrowed from a team in the same league or below. These must be recorded on the team sheet and returned to the competitions manager. If at the end of normal playing time the scores are equal, the team which has scored the greater number of tries shall be deemed the winner. If the number of tries is equal, the teams will change ends and continue playing a further 10 minutes each way. If at the end of this period the scores are still equal and the number of tries are equal then there shall be a replay on the visiting team’s ground or if mutually agreed between the two teams, the match may be decided by the toss of a coin – the visiting team to call. In the case of the Final, if after forty minutes play each way the scores are level there shall be an immediate period of extra time of ten minutes each way with a one minute interval. If the scores are then still equal the team who scored the most tries shall be the winner. Games are predominately scheduled for Sunday’s but can alternatively can be played midweek under floodlight. Women’s County Championship Rules and Regs can be accessed HERE! There are certain matters that we hope will be brought to the attention of all players, coaches and Club officials prior to the beginning of the next season; we hope that this will reduce the high number of red cards.. The RFU have advised all disciplinary Committees that not only will there be no reduction in sanction for any red card that involves a striking to the head, but that a period of 1 or 2 weeks should be added to the sanction. The RFU are very concerned about blows to the head. Hearings without attendance can only be considered for those who have not been sanctioned in the previous 5 years. 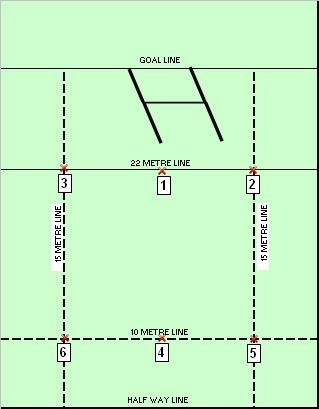 During a match players and coaches must remain within the technical areas; all clubs should mark out technical areas on their main pitch; the area between the halfway line and the 10 metre line can be used on other pitches. The referees Societies are being asked to check that this is followed. All main pitches must be “roped off”; this is a RFU requirement for League matches and is also a requirement for Kent Cup-Plate-Shield-Vase and Salver matches. No replacementCoach or spectator should enter the pitch during a game. A Coach can enter if invited to do so by the Referee. When a player changes clubs, the “new” club should check that that player is not subject to a sanction. All Clubs must report to Colin Blackham any red card offences (including 2 yellow cards) within 48 hours of the match. A Fine is imposed for late or non-reporting. As ever Match Official abuse will not be tolerated. To see all rules and regulations on the new England Rugby website please click the link below. Kent Colts Trophy Rules & Regulations can be accessed HERE!